The Association of American Publishers have just released their new SnapShot report and they found that digital audiobook sales increased 37.7% from January to September 2015. The global audiobook industry is currently evaluated at 2.8 billion dollars, and the United States only accounts for $200 million of this total. One of the big reasons why growth has been so explosive the last few years is primarily due to the sheer amount of new titles are being produced. 43,000 new audiobooks were released by major publishers and distributed through companies like Audible, iBooks, Findaway and your local library in 2015. The APP has also found that eBooks sales fell 11.1%, with most of the decline coming from Children/YA books (44.8%). Meanwhile print is enjoying a resurgence with paperback books enjoying 13.3% growth. 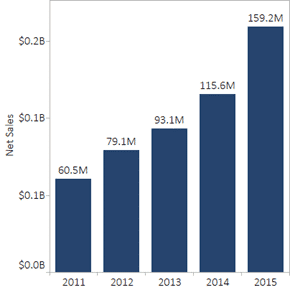 via Digital Audiobook Sales Increase 37.7% in 2015. Print sales have been in decline as ereaders such as Amazon’s Kindle and rivals Kobo and Nook prove more popular. Figures from the Publishers Association show that UK digital book sales rose 11% to £563m last year, while print copies fell 5% to £2.75bn. Ebooks now make up 25% of the market, just eight years after the launch of the Kindle in 2007. Figures released this year by NielsenBookScan showed physical sales of adult fiction had declined by more than £150m in just five years. via Penguin blames likely job losses on rise of ebooks | Books | The Guardian. via Traditional books on paper open a new chapter of success | Books | The Guardian.